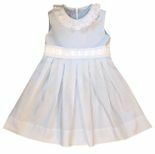 Parents and grandparents just love Claire & Charlie smocked clothing, dresses and outfits for their children and grand children. 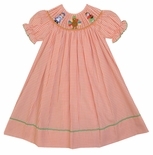 Claire & Charlie clothing designs are hand crafted, hand smocked and hand embroidered in El Salvador, the area of the world where the most beautiful and intricate embroidery work in children's smocking is done. 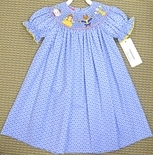 You will find one of the largest selections of Claire & Charlie smocked clothing for babies, girls and boys here at Children's Cottage.